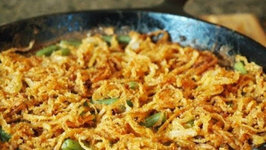 Our green bean casserole recipe - is a bit of a departure from the traditional. 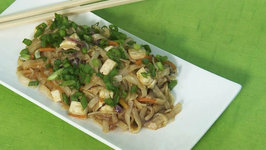 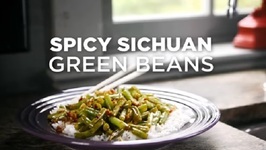 This side dish recipe has never been a 'thing' here in Canada, so we don't feel bound to ..
Named for the southwestern Chinese province thats famous for spicy foods, this Sichuan Green Been recipe is always a crowd pleaser at a party or just a great way to liven .. 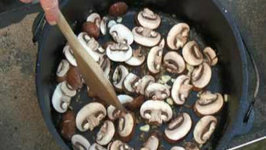 This delicious, quick, and healthy side dish is one of my family's favorites and once you try it you'll know why. 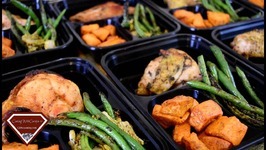 Try it today! 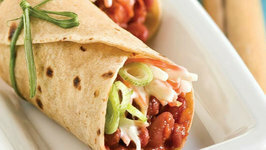 You can make delicious fresh green beans with bacon and onions. 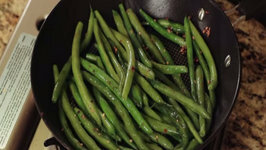 Fresh green beans taste amazing, and you don't want to miss out on this updated take on the classic green ..
Have you ever wondered how to prepare green beans in a super easy way? 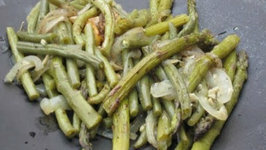 These fresh green beans are prepared with a big of garlic, salt, and oil. 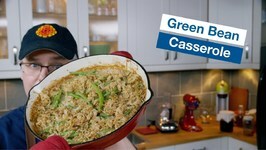 Betty demonstrates how to make Green Bean Fries. 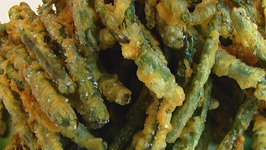 This is a trendy way to make French Fries out of green beans. 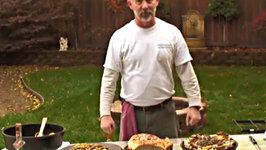 Gary House, The "Outdoor Cook" prepares Dutch oven Chicken Picatta with all the fixin's! 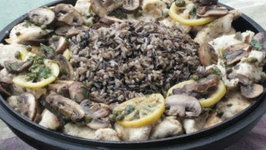 Were talking Wild Rice Medley, Roasted Asparagus and Green Breens with a touch of ..
Let us get out of the clichéd notion that tasty snacks are fat-laden. 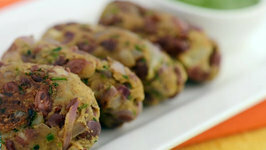 Here is a low-fat version of the famous Rajma Kebab made within minutes in your own kitchen with minimal oil. 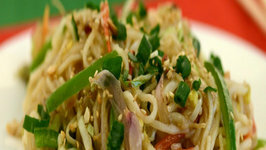 No description can ever equal the experience of tasting and raveling in its flavors! 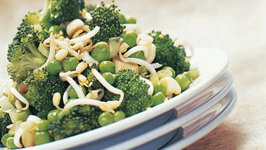 A combination of antioxidant and fiber rich greens like broccoli and green peas with bean sprouts is an asset for weight-watchers. 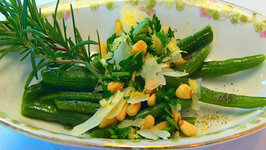 In this video, Betty demonstrates how to make Green Beans with Parmesan-Pine Nut Topping. 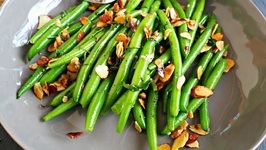 This is an easy way to dress up green beans for your holiday table. 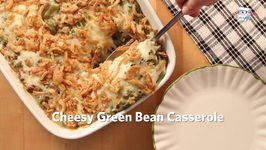 A very easy recipe for making Green Bean Casserole from scratch. 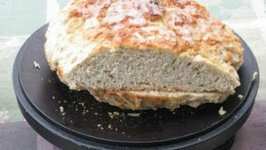 I cooked this on my Big Green Egg, but of course it can be baked in oven. 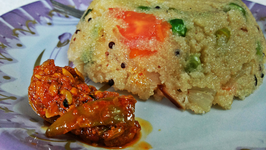 Upma is an easy South Indian breakfast recipe, which is good for your health. 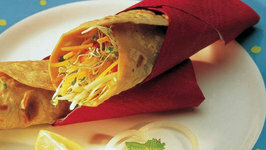 I served this with some tangy pickles you can choose sambhar or coconut chutney. 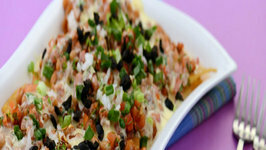 In this video, Betty demonstrates how to make Baked Shredded Beef Chimichangas. 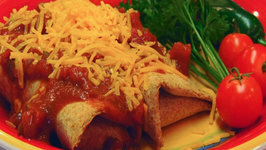 These beef chimichangas also contain refried beans and a spicy tomato blend.